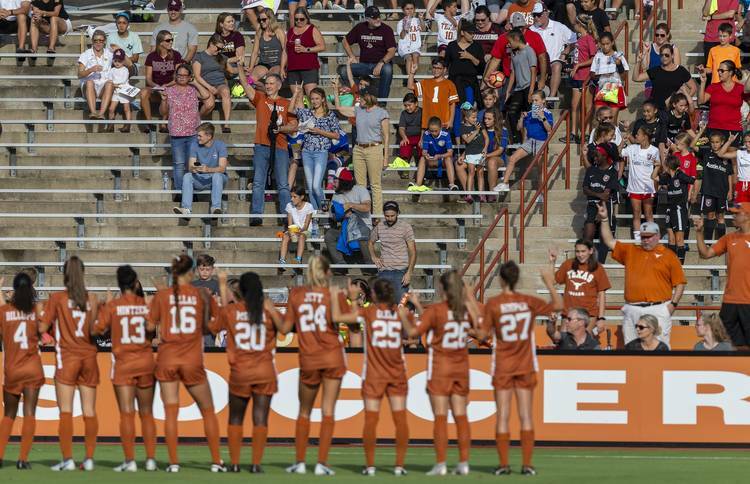 The Texas soccer team fell 1-0 to Virginia Tech in a surprising result at Myers Stadium Friday night in the first round of the NCAA tournament. The Hokies scored in the 67th minute for the only goal of the game to take the win. Virginia Tech was threatening before finally cashing in on a shot by Bridget Patch. Kiersten Hening assisted on the score. The goal is Patch’s first of the season. The Longhorns finish the season 13-5-3. Texas had a tough time getting any good opportunities to score as they managed just two shots on goal. Katie Glenn and Emma Regan accounted for those opportunities. Alexa Adams led the Longhorns with four shots, but none of them were on frame. Conversely, Virginia Tech took five shots on goal, forcing Nicole Curry to make four saves on the night. Mandy McGlynn earned the clean sheet for the upset-minded Hokies. The Virginia Tech goalkeeper kept the game scoreless on a point-blank kick save in the 32nd minute, denying Glenn. Unfortunately for the Longhorns, their first ever Big 12 Player of the Year Cyera Hintzen didn’t start as she was dealing with an upper leg injury, according to the team’s official Twitter page. She entered the game in the 73rd minute but couldn’t even the score. Kayra Dollas had a shot in the 80th minute that went wide from about 25 yards out.